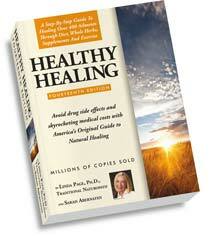 Healing Irritable Bowel Syndrome Over 70 million Americans suffer from some form of digestive disorder. Irritable Bowel Syndrome affects as many as one in five U.S. adults! 80% are women, leading researchers to suspect that hormone changes during the menstrual cycle are involved. IBS is a chronically inflamed, painful colon, often a result of food allergies (65%), usually a gluten reaction to wheat, or cheese, corn or eggs. Lactose intolerance symptoms mimic those of IBS and colitis. Most victims are women between 20 and 40 with stressful jobs or lifestyles. Colon membranes become irritated and inflamed, and the body forms pouchy pockets in reaction. In severe cases, ulcerous lesions line the sides of the colon (ulcerative colitis). Then, eat a low fat diet with easy to digest grains, like white rice to start. Lightly cook foods, never fry, add few salts. Include fresh fruits, fruit fiber from prunes, apples and raisins (not if fructose intolerant like many people with IBS), green salads with olive oil and lemon dressing, whole grain cereals like oatmeal or brown rice (not wheat), and steamed veggies. Have a glass of mixed vegetable juice daily for the first two weeks-fresh carrot juice 3 times a week. • Wheat Grass juice, shows good results for ulcerative colitis. Keep your body hydrated - 6 to 8 glasses of water a day, or try • Aloe Vera Juice. Eat cultured foods, like yogurt and kefir for friendly intestinal flora. Eat small, frequent meals. No large meals. Eat fruits alone, on an empty stomach. Clean up your diet: Avoid coffee and caffeine foods, sodas, nuts, seeds, soy foods and citrus while healing. Cut back on saturated fat (high quality coconut oil is OK). Eliminate sugary foods, fried foods, sorbitol, and dairy. (Lactose intolerance affects 30% of people with IBS. Statistics show symptoms resolve for up to 40% of those who eliminate dairy completely from their diets.) Eliminate wheat foods (another major irritant) of all kinds. Highly spiced foods, many meal replacements and energy drinks are an irritant. MSG and food additives move bowel muscles resulting in diarrhea and cramps. • Take cat’s claw (una da gato) extract, 3 capsules or 3 droppers daily (results in 5 days) • Peppermint oil - 2 capsules 3x daily, or 5 drops in tea. Or • Crystal Star Green Tea Cleanser 2 cups daily with 5 peppermint oil drops 2x daily. or • Crystal Star Bwl-Tone for gentle cleansing support. Your life depends on your liver. To a large extent, the health of your liver determines the health of your entire body. The liver is really a wonderful chemical plant that converts everything we eat, breathe and absorb through the skin into life-sustaining substances. The liver is a major blood reservoir, forming and storing red blood cells, and filtering toxins at a rate of a quart of blood per minute. It manufactures natural antihistamines to keep immune response high. More than any other organ, the liver enables us to benefit from the food we eat. Without the liver, digestion would be impossible,the conversion of food into living energy nonexistent. The liver is the primary metabolic organ for proteins, fats and carbohydrates. It synthesizes and secretes bile, the substance that insures good food assimilation, and is critical to excreting toxic material from the gastrointestinal tract. Blood flows directly from the intestinal tract to the liver, where it deals with food toxins before they are delivered into our blood. Blood keeps returning to the liver, processing toxins again and again through the lymph system until they are excreted by the bile or kidneys. A liver flushing detox is the first vital step for the body to begin to heal itself.